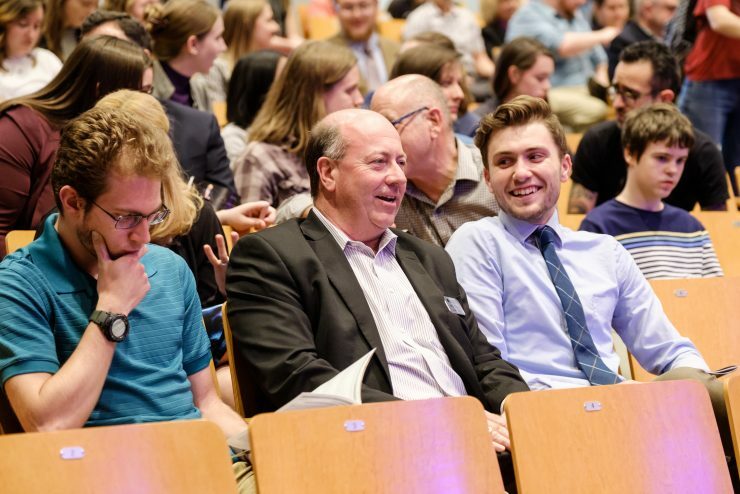 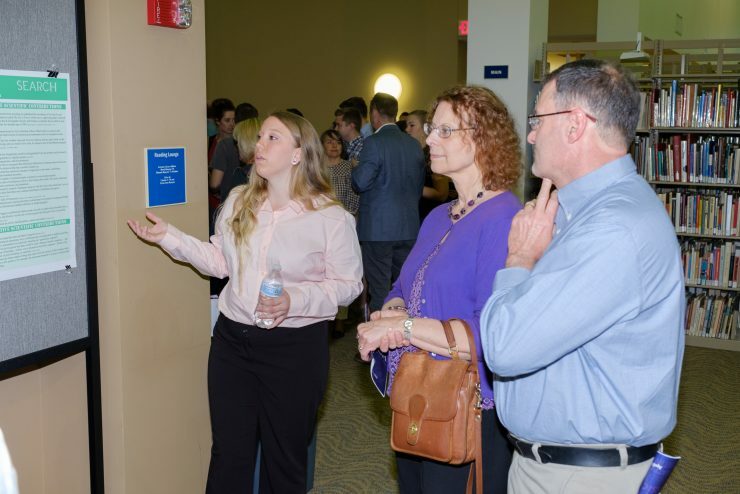 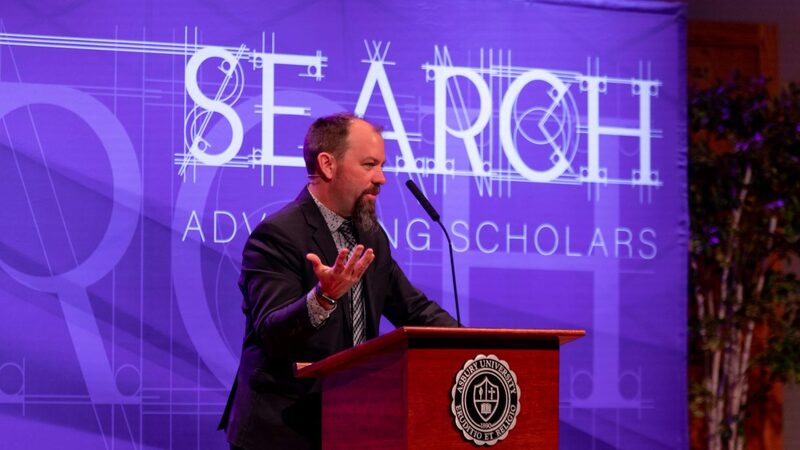 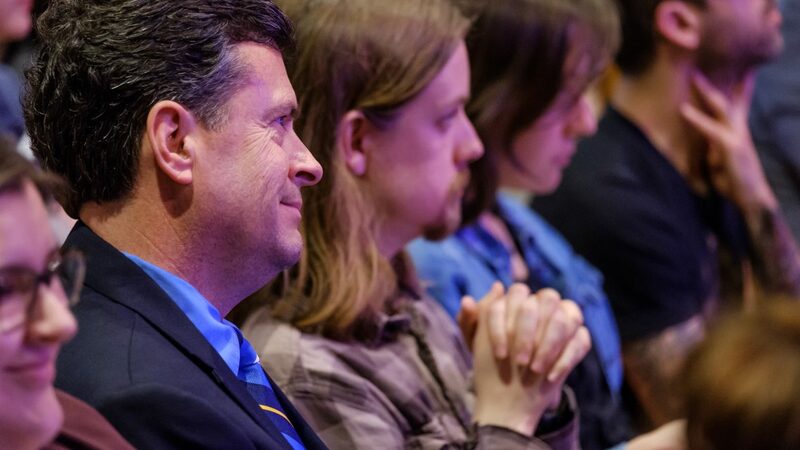 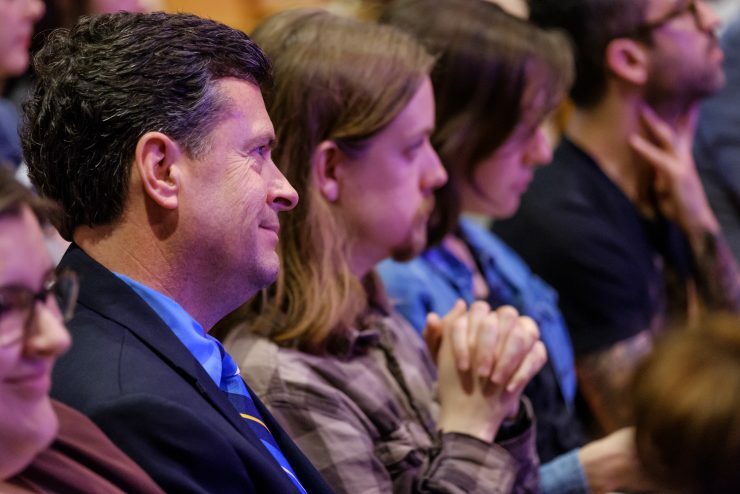 These are the questions that were posed at Asbury University’s annual academic symposium SEARCH, as a faculty panel discussion opened the 2019 symposium’s events. 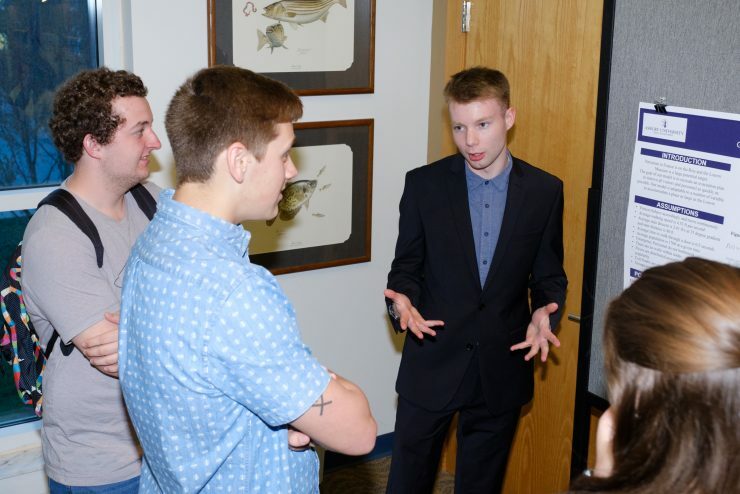 View a photo gallery below! 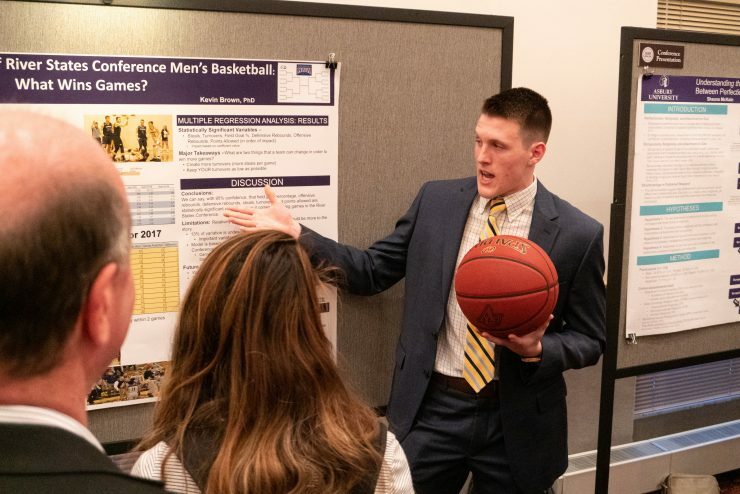 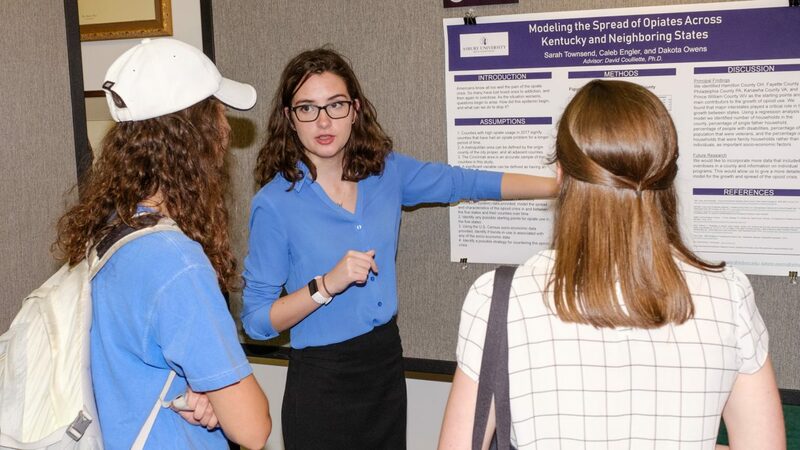 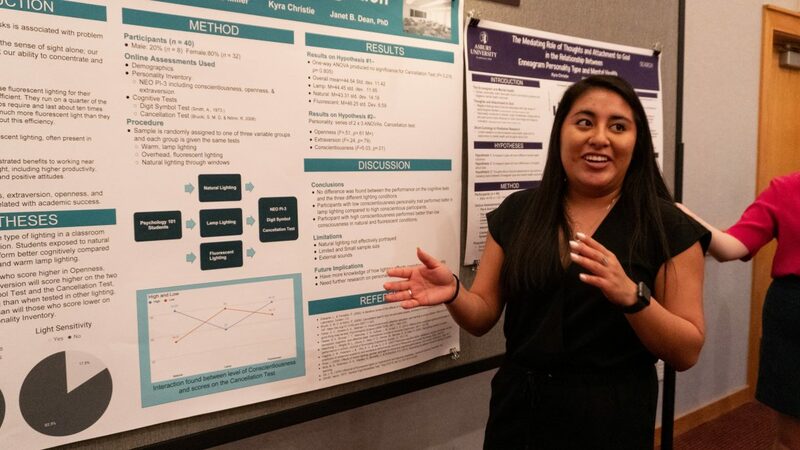 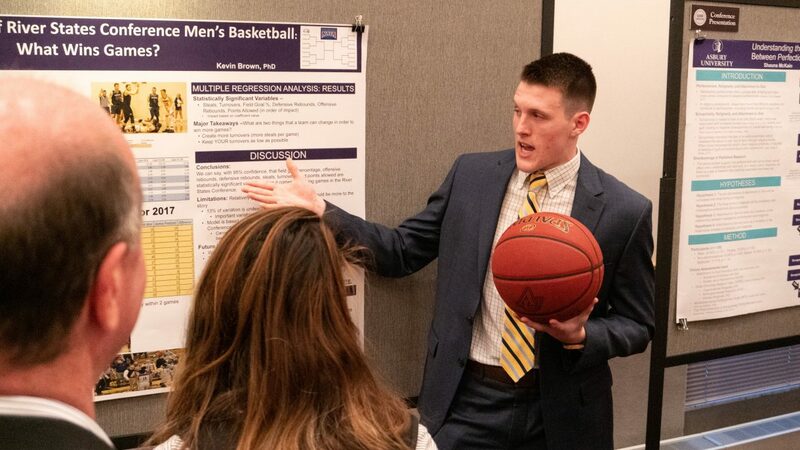 SEARCH serves to advance scholarship at Asbury through a student research competition and poster presentation each spring semester. 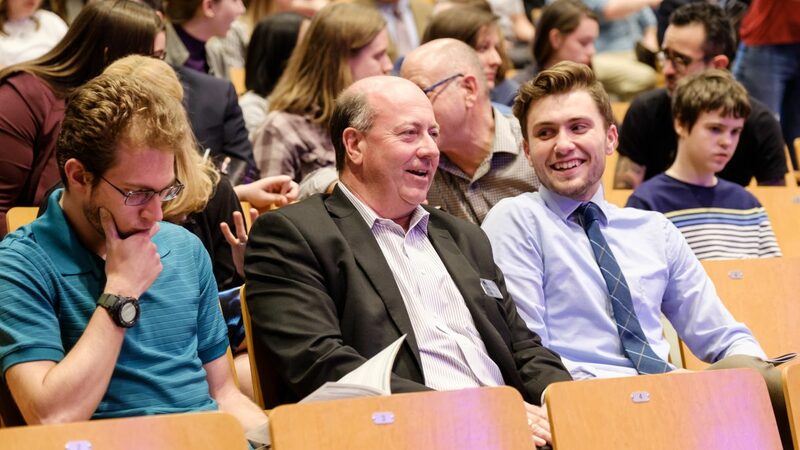 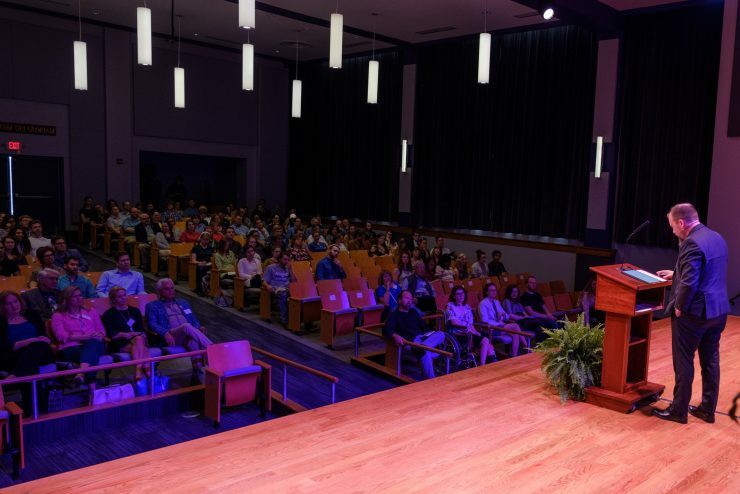 This year, the evening also featured a keynote address and Chapel lecture from Smith, a leading philosopher, writer, cultural critic and professor at Calvin College. 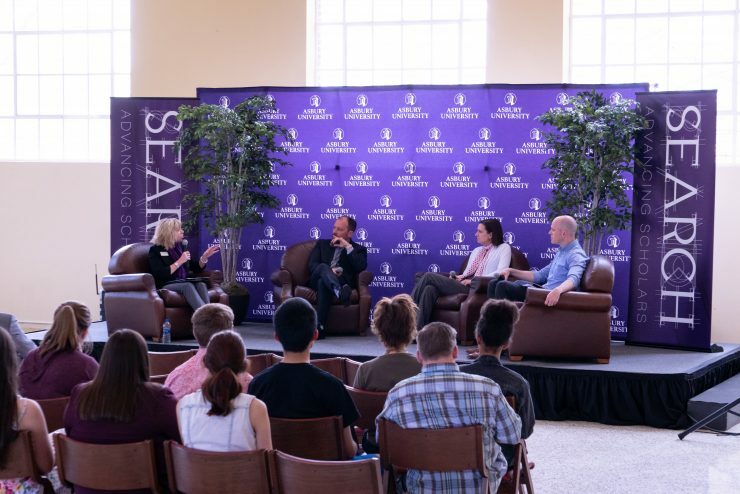 This year’s SEARCH faculty panel included Dr. Kevin Brown (Business) and Dr. Claire Peterson (Philosophy), as well as SEARCH keynote speaker Smith. 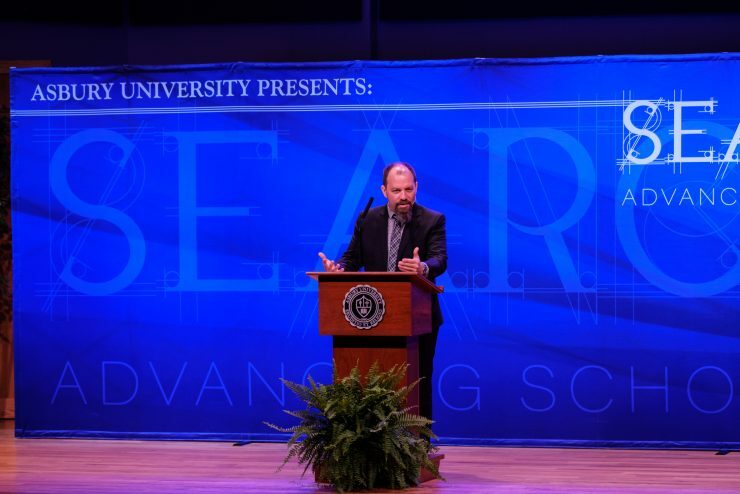 The discussion centered more specifically on “The Cracks in Secularism,” and was moderated by Dr. Cheryll Johnson (Mathematics). 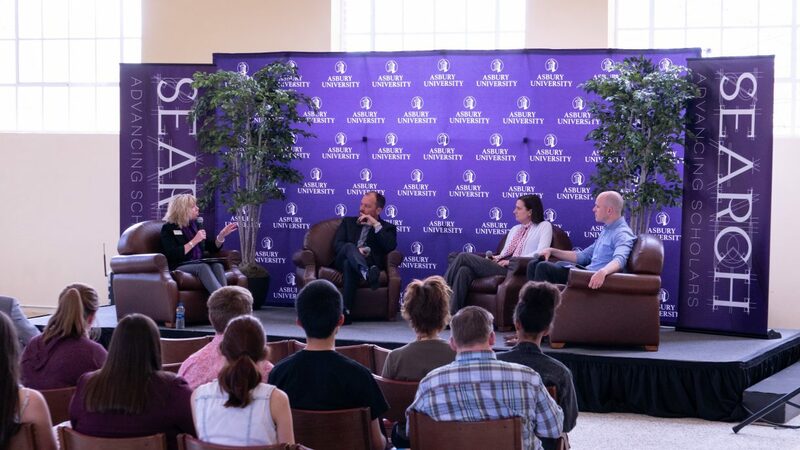 The panel explored the widening cultural chasm we find ourselves in in this current moment in time during a fascinating discussion. 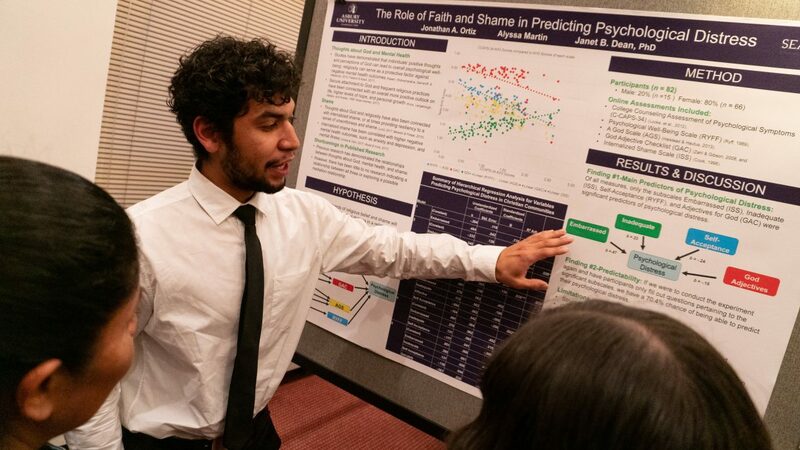 This year’s SEARCH did not shy away from asking the tough questions as students, faculty and guests were invited to close the supposed gap between faith and scholarship. 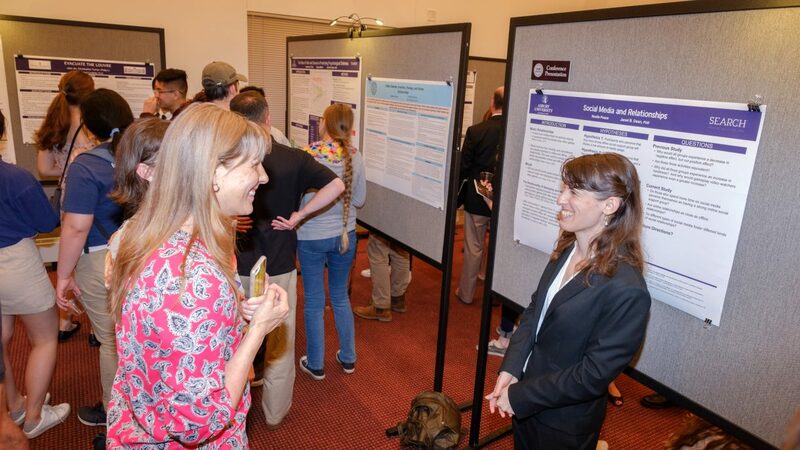 Smith gave a keynote address in Jameson Recital Hall Thursday evening, prior to the student poster presentations. 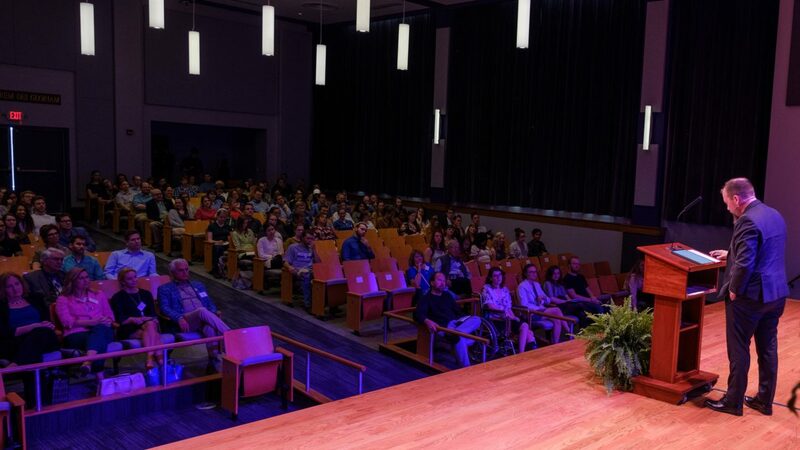 The topic for his keynote address was “Curiosity, Enlightenment and Faith Seeking Understanding.” Smith spoke at large about Saint Augustine’s search for enlightenment and his arrival at the Christian faith. 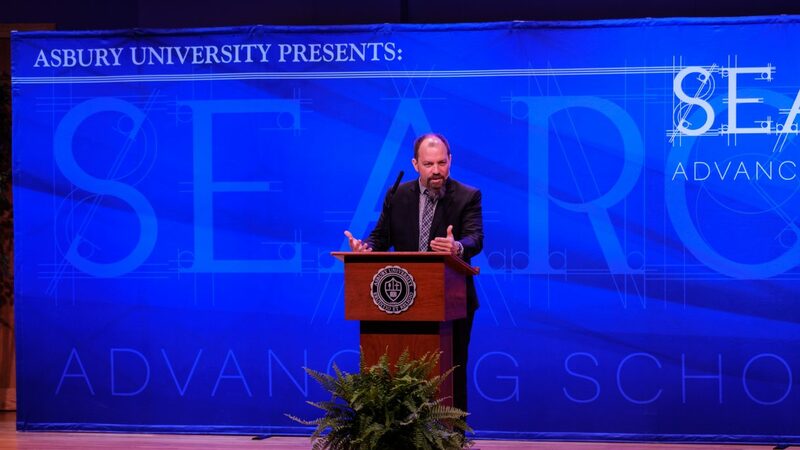 He will also be releasing a book on the topic, entitled “On the Road with Saint Augustine,” in October of this year. 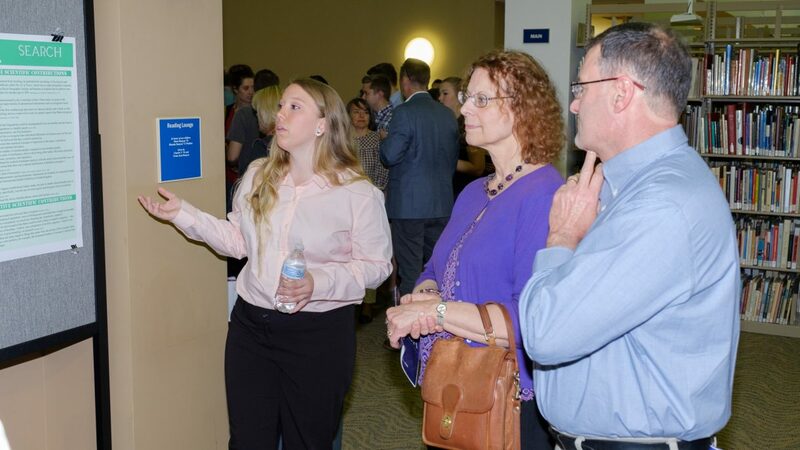 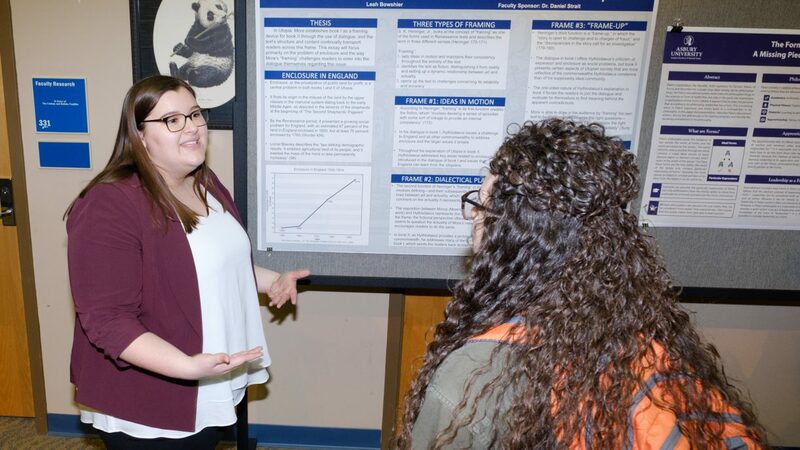 The Kinlaw Library board room was abuzz Thursday night as people took in the research and hard work of students from a variety of disciplines. 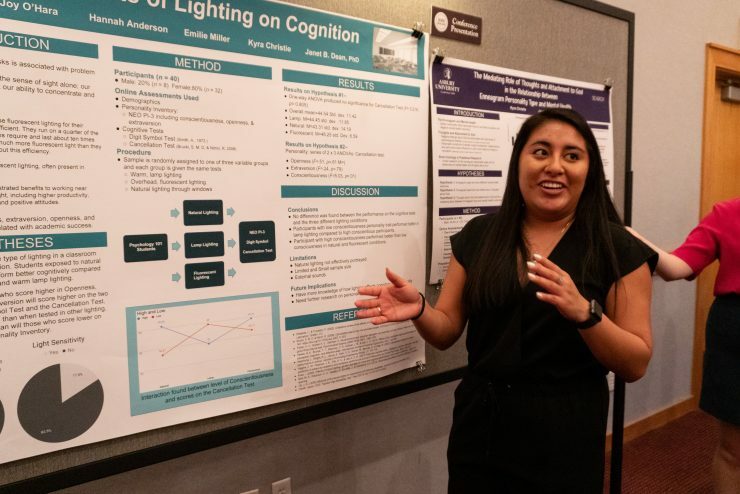 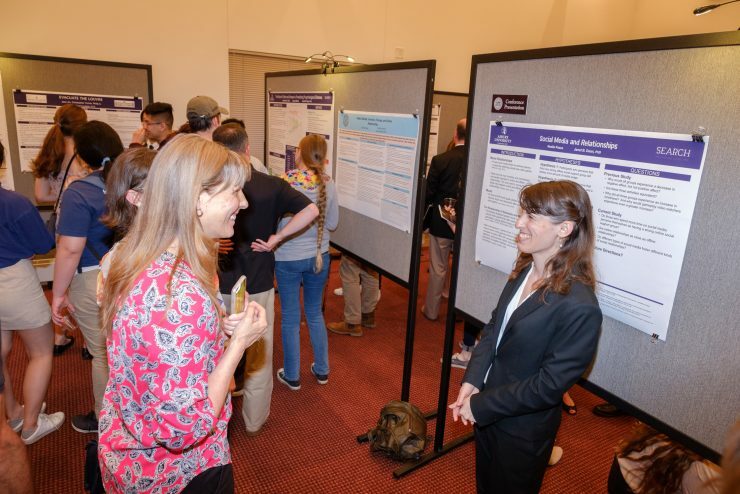 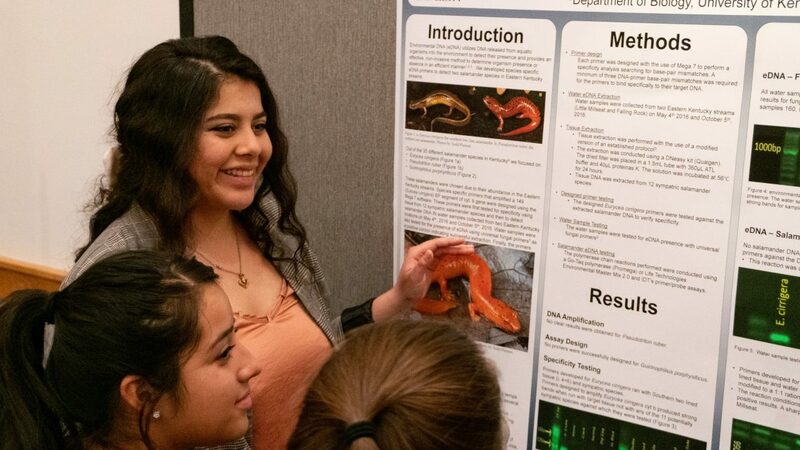 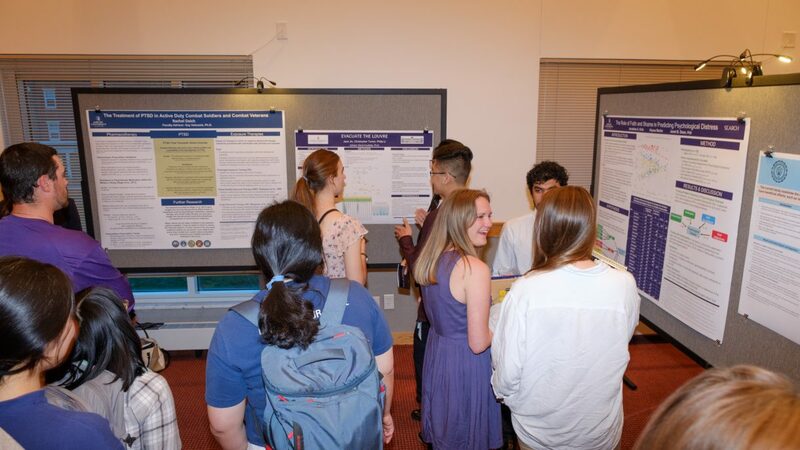 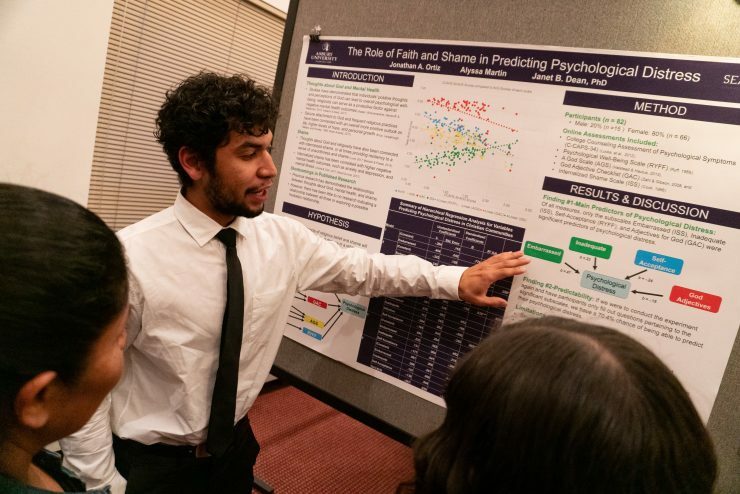 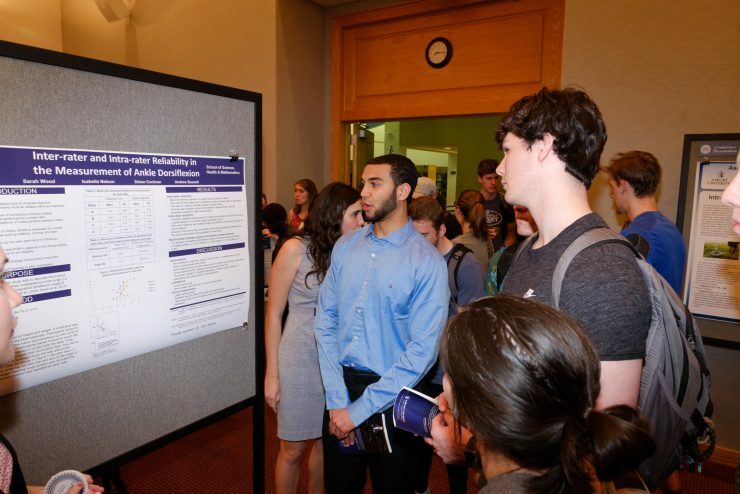 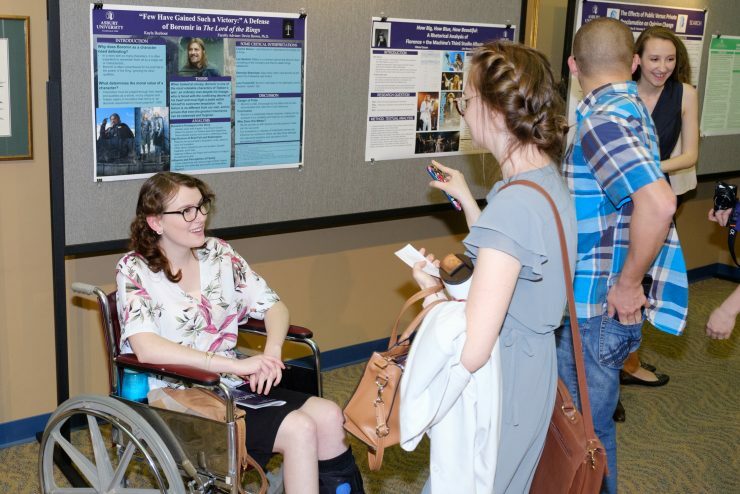 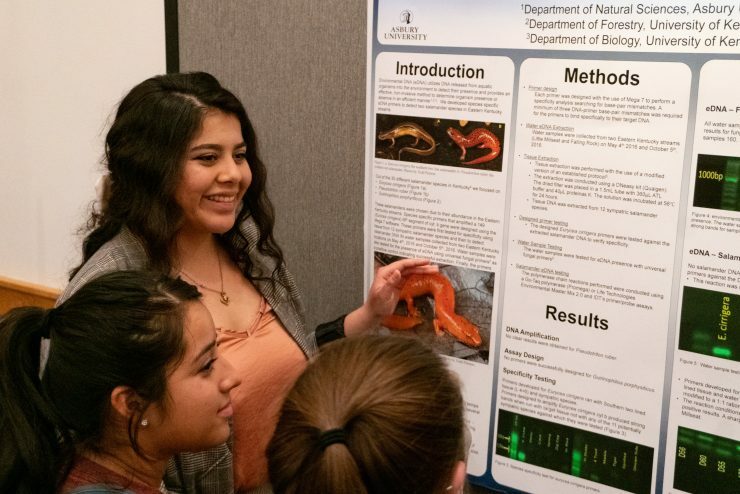 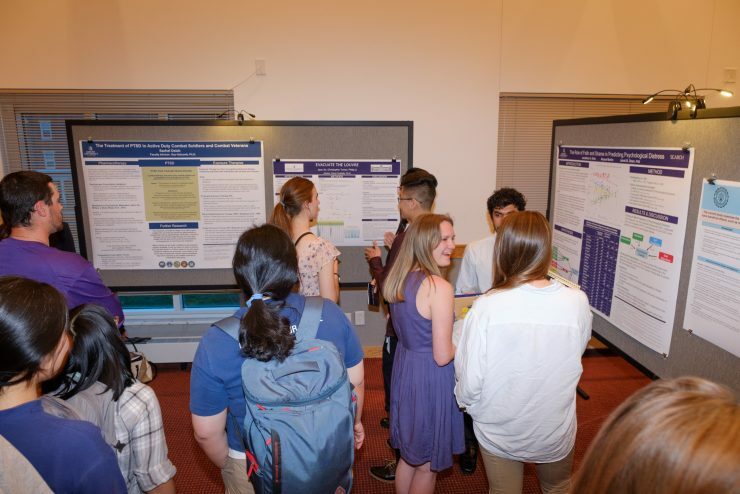 Poster presentations covered 15 disciplines including English, music, biology, psychology, art, mathematics, communication and history with 52 students presenting their research. 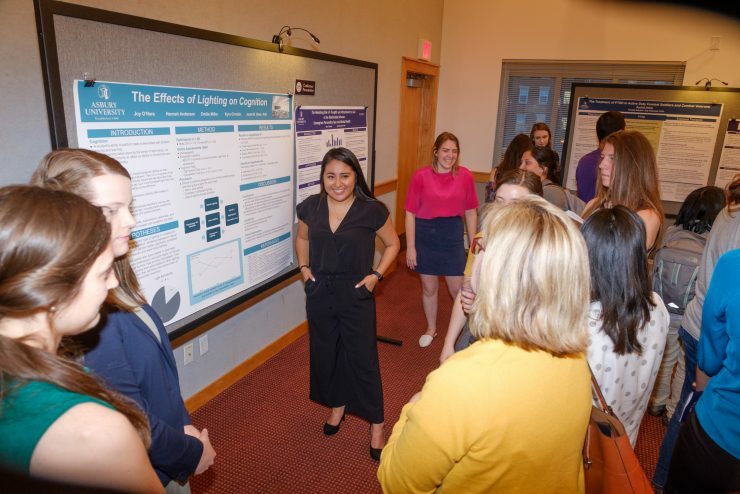 Psychology major Noelle Peace ’19 presented three presentations during Thursday night’s event. 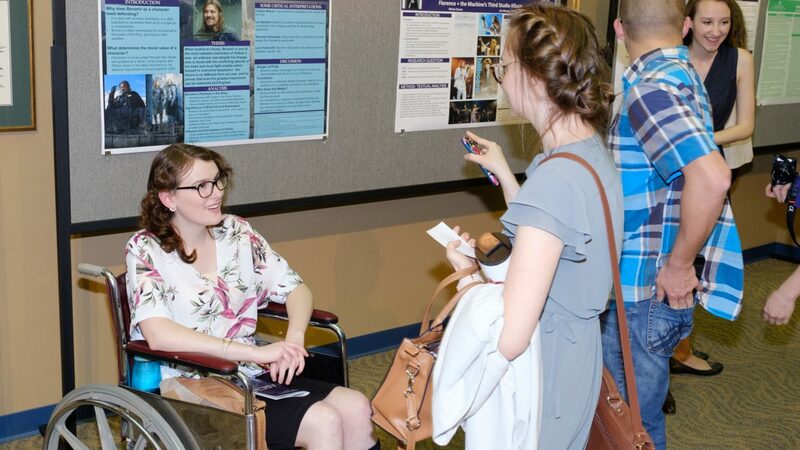 Her research papers centered largely on social media, emotional health and gaming. 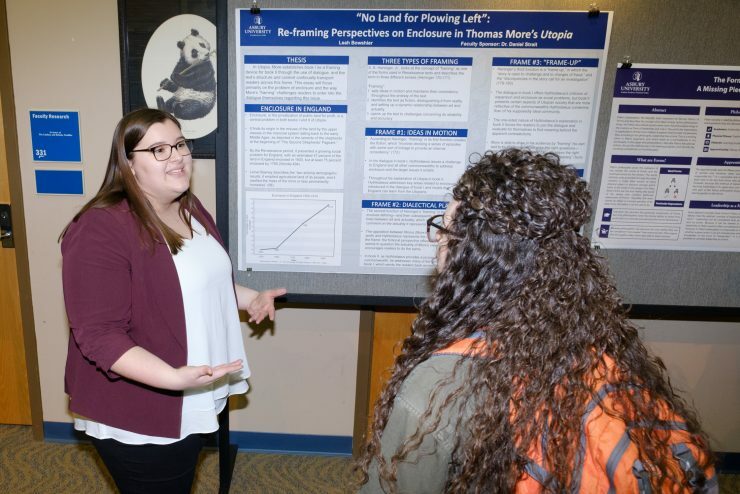 Over the course of the three projects, Peace was challenged to reconsider her initial expectations and ultimately strengthen her skills as a researcher. 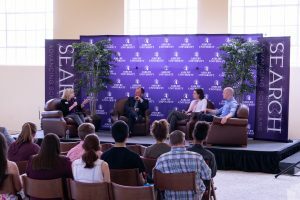 Peace found SEARCH to be an embodiment of Asbury’s community and scholarship. 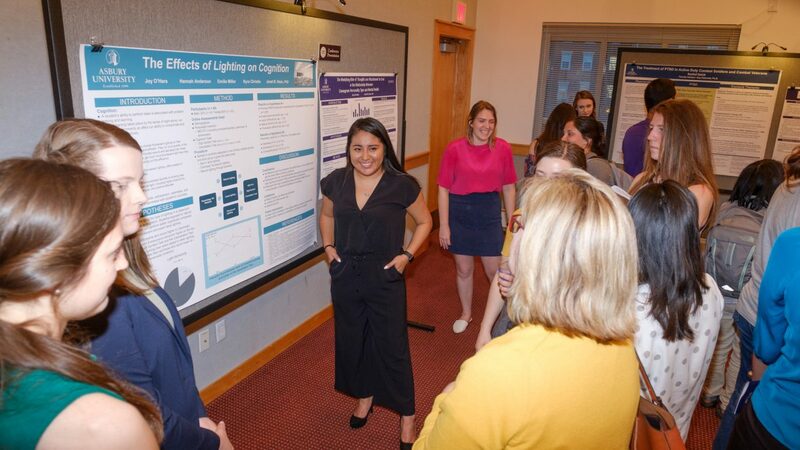 For Barkdoll, SEARCH was an opportunity to be academically challenged and truly lean into Asbury’s environment of academic excellence and spiritual vitality. 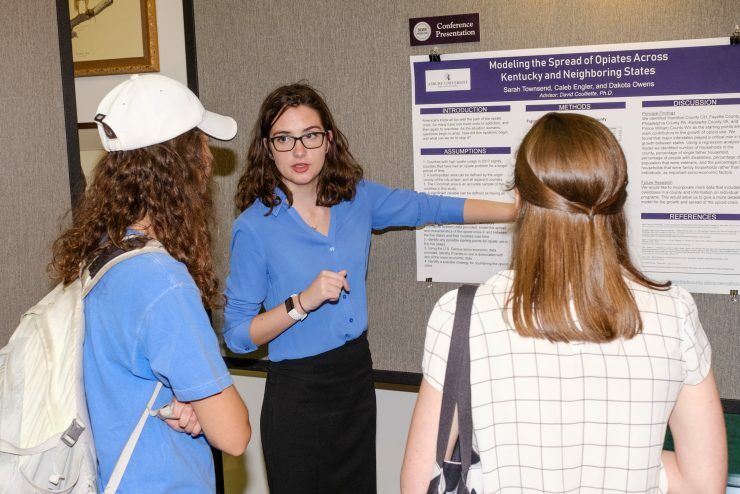 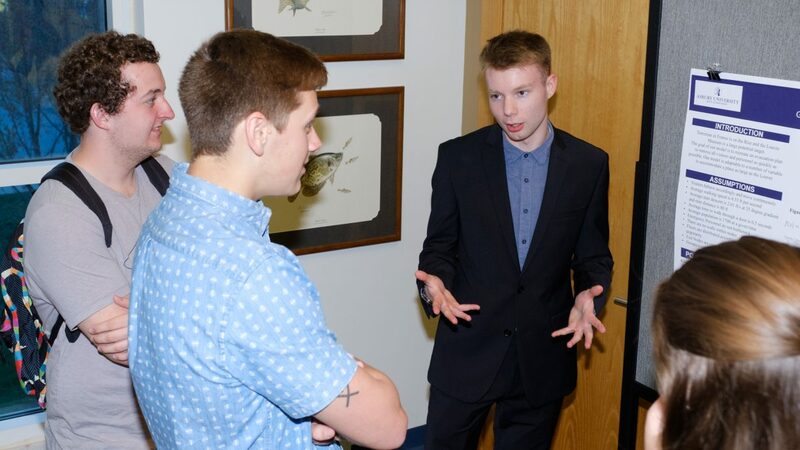 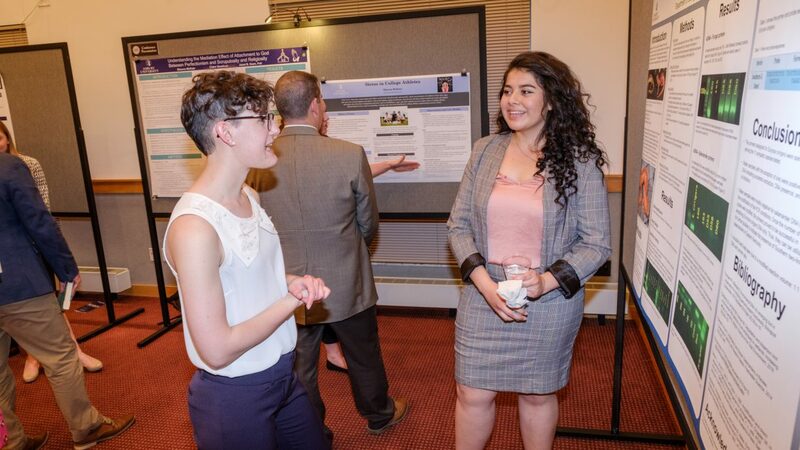 “It allows students to connect their academic work and apply it to Asbury as a community, to really understand themselves and understand the world in complex ways,” Barkdoll said. 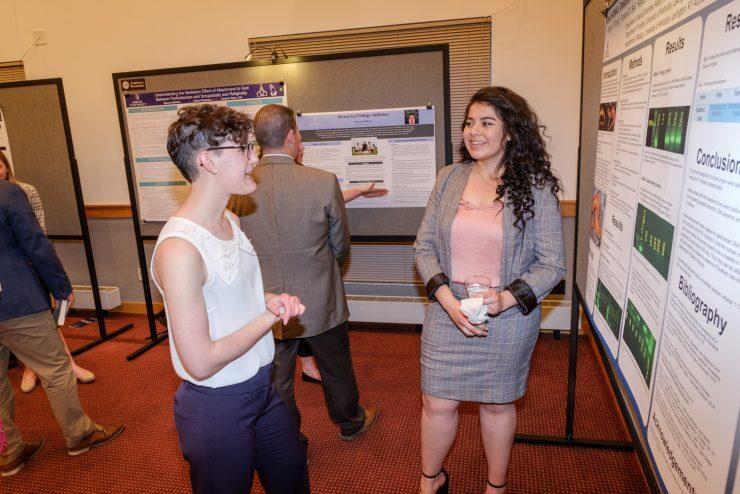 SEARCH will culminate in a Friday night Faculty-Scholars dinner at Windsor Manor, where several faculty members will be honored for outstanding academic leadership and independent scholarship. 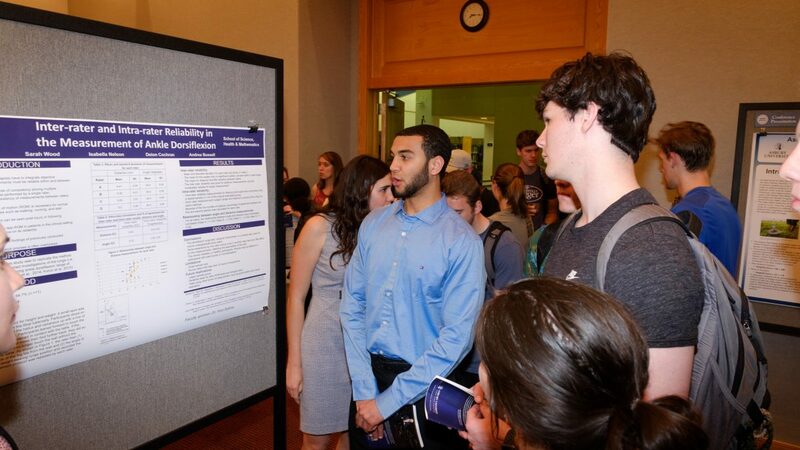 SEARCH student award winners will be announced at the Honors Convocation in Hughes Auditorium on April 29. 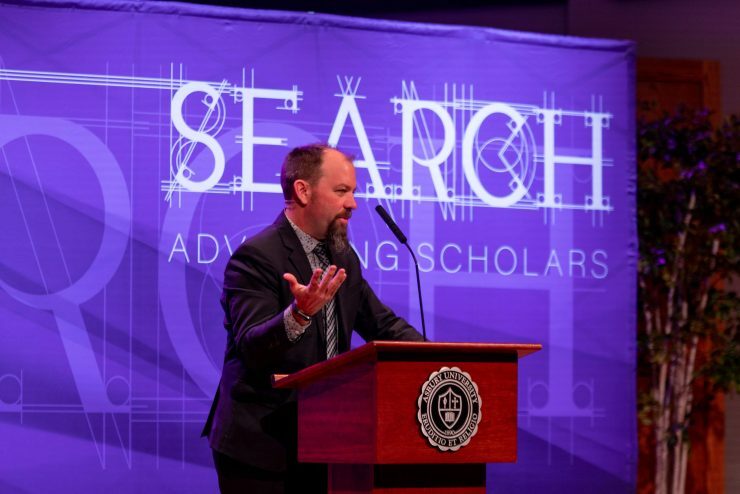 Learn more about Asbury University’s SEARCH.